In today's game just playing is not enough! Increase your speed for quicker breakaways. Develop greater power through a strong core. Hold off attackers with a stronger upper body. Get faster feet and better balance. Finish the game stronger with whole-body conditioning. Develop a strong foundation to training for a safer career. A personalized sport specific conditioning program draws on resources for you to get the balance, agility, coordination, strength, quickness, endurance and power you need to kick your game up a notch ... or two! Sport specific training helps you polish your fundamentals and challenge your condition for play. From basic posture to efficient movement techniques, fundamentals are strengthened and grooved through specific and progressive exercises that help you get the skills you need for your sport whether it is soccer, basketball, golf, running, water skiing, cycling, football, canoeing or some other active sport. Sport specific training focuses on training your whole body to coordinate movement from the ground up and to move your game up to a higher level of play. Our model for sport specific training begins with an active warm-up which transitions into sprint technique training. After a brief water break, you move into agility and multidirectional technique and speed development. Your session finishes with a general conditioning circuit that integrates your core with your upper and lower body to improve integrative strength and power, increase endurance and balance, and reinforce safe movement and conditioning techniques to reduce your risk of an injury throughout your career. Cool down includes a self-directed stretching session. Periodization is the road map to get your conditioning together to be successful at various events in your schedule. Periodization considers preseason, during season and post season training. Explore this link to get a general view of a periodized plan for our soccer training program. 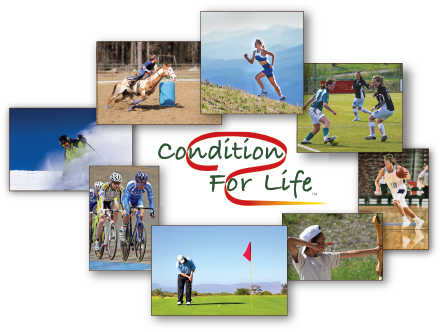 When you explore the links below you will find helpful discussions on topics related to improving sports performance and reducing your risk of injury. For information on other topics visit our Health & Awareness page. Women in Sports Like never before, young athletes are participating in organized youth sports leagues of all kinds. If you are a parent spending time around sports you have probably become very familiar with the injuries associated with your kids’ game. If their game is one of the cutting sports (basketball, soccer, or volleyball), you may have noticed that lower extremity injuries are more common and that there are many more injuries associated with the women’s teams than the men, especially serious knee injuries. Learn how biomechanics change in women as they enter their teen years and what issues, when corrected, improve their performance and greatly reduces their risk of injury. Core When functioning properly, your core muscles activate before of the muscles that move your legs or arms. This results in optimum spinal control and stabilization. Learn how proper core stabilization efficiently transfers power between your arms and legs and strengthens your chains of movement.